The gratifying sound of a bell lets the holiday season ring in. This 6 foot white bell will engulf the sky with a silvery touch, along with the bright green holly to provide a great visual for the season. 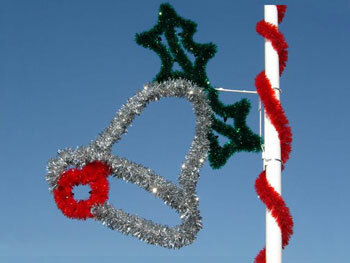 Part of the collection of pole mounted holiday decor from edecorsource.